Man caught red-handed trying to export T-34 tank out of Russia. A Russian court has given a man from Moscow a suspended sentence for attempting to move a T-34 tank out of the country from the Chelyabinsk region in 2015. This was reported by RIA Novosti with a link to a press release from UFSB Russia in the Chelyabinsk region. The Muscovite bought the tank in Latvia for about $21,580, where it was displayed in a museum. He claimed the tank was part of a historical collection and was therefore able to sell it in Kazakhstan for the healthy sum of around $248,000. However, the WWII armored vehicle was in fact recognized as part of Russia’s cultural heritage according to its documents, the FSB reported. The man did not ask permission to export it from Russia due to the high customs duty on objects of cultural value. Instead, he tried to transport the tank by railway. As a result, the T-34 tank was found during an inspection of a train crossing the Russian-Kazakh border at the Kartaly border crossing point. The court sentenced him to three years behind bars on probation, with a probationary period of one and a half years. 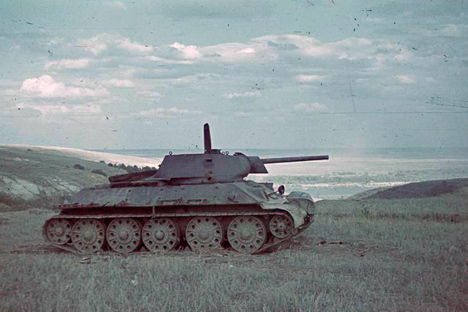 The tank was confiscated by the state.